Nineveh was the last capital of the Assyrian Empire, as well as its most populous city. It has even been claimed that Nineveh was the most populated city in the world for a period. In recent times, the remains of Nineveh have suffered much damage as a consequence of the war that has been raging on in the region. The ruins of Nineveh are located on the outskirts of what is today the northern Iraqi city of Mosul, on the east bank of the Tigris River. Archaeological excavations have shown that the city has its origins in the 7th millennium BC. During that time, the site was occupied by a small Neolithic settlement. The history of Nineveh in the subsequent millennia is told through the material culture found at the site. The pottery assemblage found at the site, for instance, consists of Hassuna-Samarra and Tall Halaf painted pottery, which were characteristic of northern Mesopotamia during the Chalcolithic Age. On the other hand, clay sickles of the type used during the Ubaid period suggest that the pre-historic inhabitants were in contact with their southern neighbors. From a small settlement, Nineveh grew into a town of some importance by the early part of the 2nd millennium BC. During this time, it was a cult center of the goddess Ishtar, and it was due to its religious function that the town became significant. 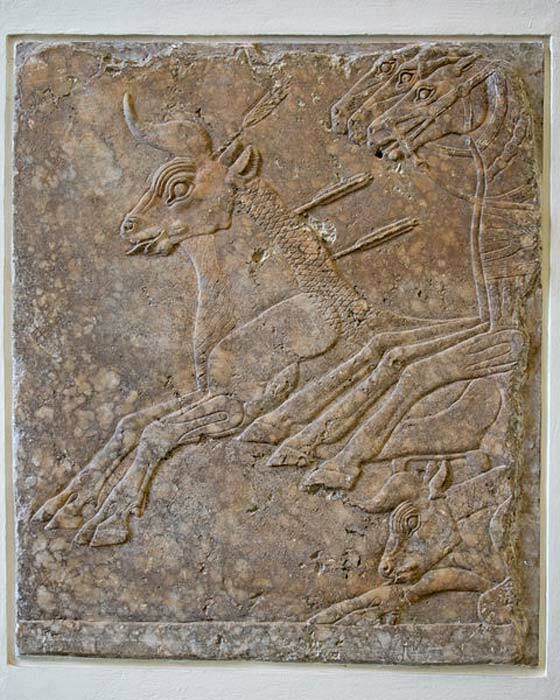 Several centuries later, the city was a vassal of the Hurrian Kingdom of Mitanni but it was subsequently captured by the Assyrians. It seems that the status of Nineveh did not change much during the Middle Assyrian Empire. Whilst inscriptions of such Middle Assyrian rulers as Shalmaneser I and Tiglath-Pileser I have been found on the city’s Acropolis, there is little evidence to suggest that the Assyrians were carrying out large building projects in Nineveh during this time. 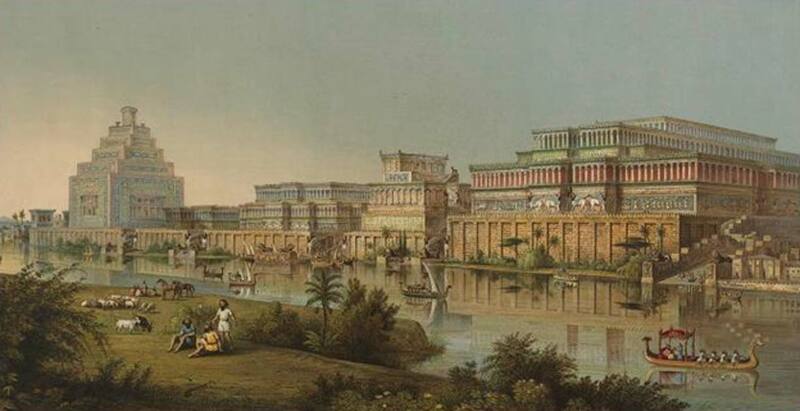 It was only during the Neo-Assyrian Empire that Nineveh became a city of great importance. The city’s architectural expansion began during the reign of Ashurnasirpal II in the 9th century BC and reached its peak during the reign of Sennacherib in the following century. Ashurnasirpal and his successors founded new temples and palaces and repaired older ones. It was, however, Sennacherib who made Nineveh the new capital and initiated a building project that befitted the city’s new-found status. The king’s building activities were recorded on a stele and include new streets and squares, walls, and, of course, a new palace. It has been estimated that during the reign of Sennacherib, the city had as many as 100,000 inhabitants. Others have suggested that there were 120,000 souls in Nineveh, making it the most populated city in the world at that time. Nineveh’s fortunes did not last for long, however, as the empire suffered a great defeat at the hands of a coalition of Babylonians, Scythians, and Medes in 612 BC. The Assyrians never recovered from this, and came to an end a few years later, whilst their capital was sacked by the enemy. The city, however, was not abandoned, and people continued to reside there all the way until at least the 16th century. Moreover, during the 13th century, the city even prospered somewhat under the Atabegs of Mosul. Modern exploration of Nineveh occurred as early as the 19th century. In 1849, for instance, Sir Austen Henry Layard discovered Sennacherib’s ‘Palace Without Rival’. Other important archaeological discoveries made in Nineveh include the famous ‘Library of Ashurbanipal’, and the palaces of several Assyrian kings. Today, however, the conflict in the region has prevented further archaeological work from being carried out and has caused much damage to the ruins of this ancient city. In 2016, for instance, it was reported that the Mashki and Adad Gates, two of the city’s gateways, had been destroyed, whilst objects unearthed from the site, which were housed in the Mosul Museum, were either damaged or destroyed.